The post below is one of a series of posts about specific trends examined in the recently-released annual edition of The State of Working Pennsylvania. We’ve already laid out how Pennsylvania men without a college degree have not shared in Pennsylvania's economic gains over the past few decades. What about women? White women with less than a bachelor’s degree in Pennsylvania have fared a little better than similarly-educated men, experiencing a 13 percent increase in hourly earnings since 1979-81 -- a one third of one percent increase annually. Black women with less than a bachelor’s degree saw their inflation-adjusted hourly earnings decline 1 percent in the last 36 years. Yesterday the Census Bureau released data from the American Community Survey showing that median household incomes in Pennsylvania rose by just over $2,400 in the last year, strong evidence that an economy nearing full employment generates rising wages for workers. Higher-income families have now surpassed their pre-Great Recession incomes but the lower-income half of families have not. Most news is bad news. And political campaigns are more likely to flag what is wrong with our country than what is right with it. So, it’s not surprising that in the heat of a presidential election, we are more focused on what is wrong with our country than what is right with it. But as the federal government updates its statistics on income, poverty and health care this week, we can take a moment to appreciate the good news—government at the federal and state level has been increasingly successful at encouraging broadly prosperity. 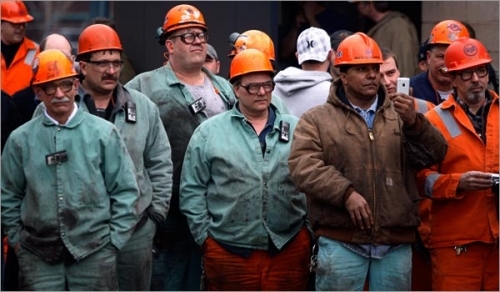 The post below is one of a series of posts about specific trends examined in the recently-released annual edition of The State of Working Pennsylvania, written by Keystone Research Center Executive Director and economist Stephen Herzenberg and Research Director and economist Mark Price. Many parts of Pennsylvania have been known for decades as blue-collar, working class communities. In these communities, manufacturing jobs sprouted and provided family-sustaining jobs from one generation to another, usually for men. As the economy has shifted, these communities and these men, many with only a high-school degree, have suffered. 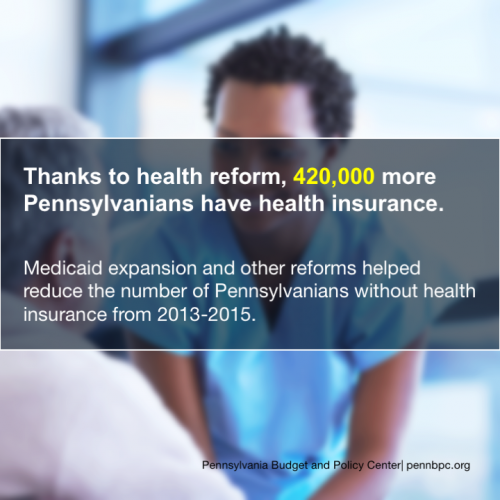 While this is familiar to most Pennsylvanians, the economic facts that tell the story never fail to stun. For example, let's take a look at wages over time for working-age men (aged 18 to 64) in Pennsylvania with less than a bachelor’s degree. As you do keep in mind that this is a BIG group--seven out of every 10 working-age men in Pennsylvania. 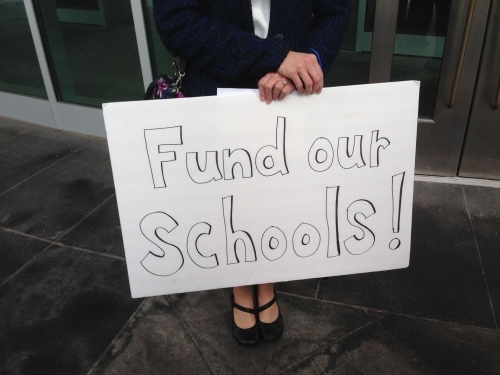 The following is a guest post from Susan Spicka, Executive Director of Education Voters of Pennsylvania. It was originally posted on their blog here. My name is Susan Spicka and I am the Executive Director of Education Voters of Pennsylvania and a parent of two children who attend public schools in the south central part of the state. View the old Pennsylvania Policy Blog.